SEOUL -- K-pop band BTS will appear in a promotional video to showcase Hyundai Motor's new luxury sport utility vehicle (SUV), Palisade, at the Los Angeles Auto Show this week. 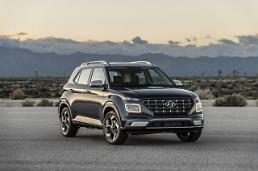 Hyundai said in a statement Tuesday that the seven-member group was chosen as the global brand ambassador for Palisade which will be shown for the first time at the auto show on November 28. The event will be broadcast live via social media. 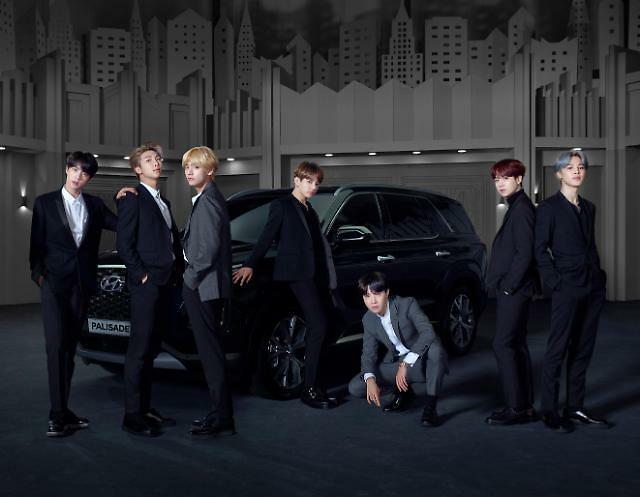 After the motor show, BTS will continue to participate in Hyundai's global campaign "Always Remarkable" to promote Palisade. 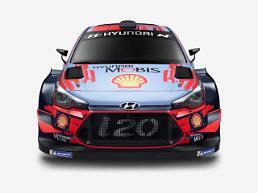 As part of the global campaign, Hyundai will release a variety of digital contents featuring the K-pop band. The company said the new SUV bears a bold exterior design with strong imagery of safety and security, especially for parents and children with active lifestyles. "Palisade styling will offer dignity with style in an understated theme that demonstrates clear differentiation worthy of a flagship SUV." Hyundai will start receiving pre-orders for Palisade at home on November 29. It will be released in the South Korean market on December 11. The highest trim of 2.2 diesel engine model would be 41.7 million won ($36,895) and the highest trim of 3.8 gasoline engine model 40.3 million won.